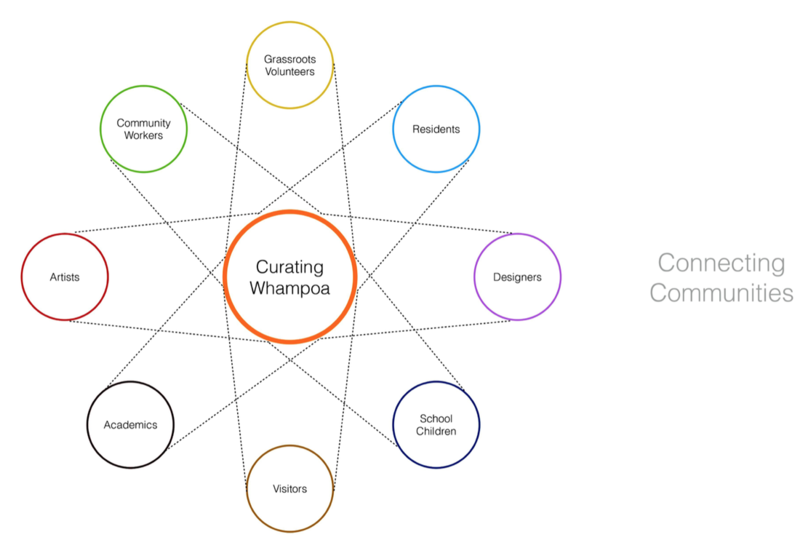 Curating Whampoa is a community arts and heritage project co-conceived by the Tsao Foundation and Associate Professor Thomas Kong from the School of the Art Institute of Chicago. 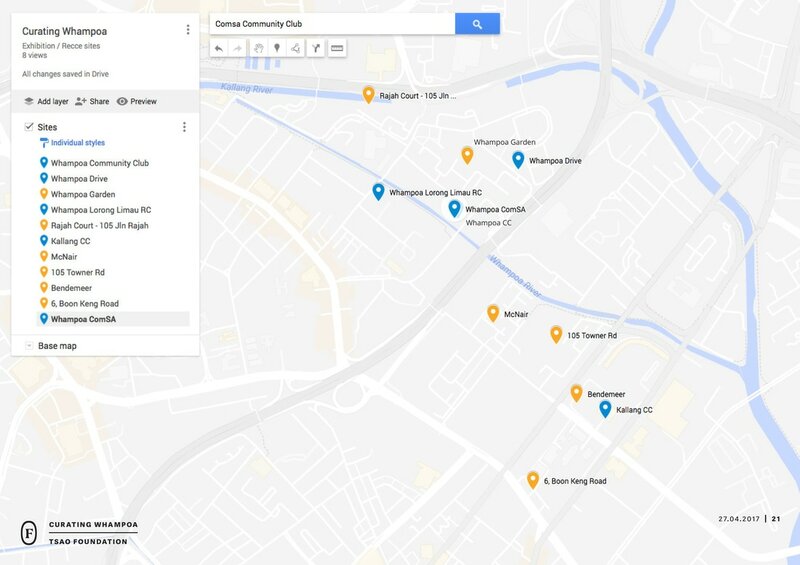 It is supported by the National Heritage Board and seeks to collect, interpret and present the diverse social life and rich cultural heritage of Whampoa in Singapore. 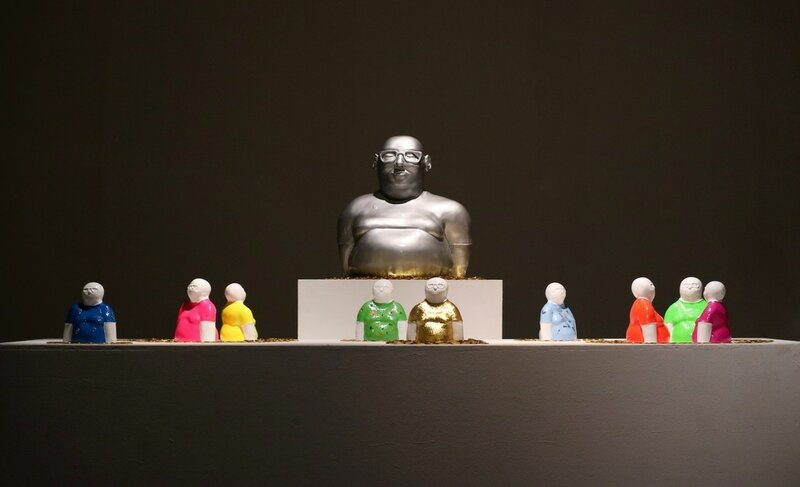 The multi-year project will involve the participation of elder residents, artists, designers, students and community-based workers in a series of thematic events. 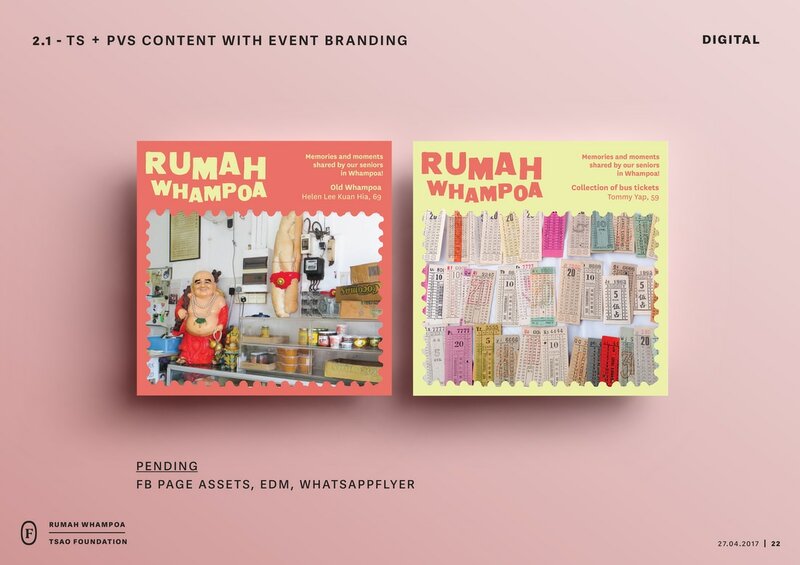 A variety of media and presentation platforms will showcase the collaborative efforts of the participants and provide the contents and framework for the exploration of a Living Museum in Whampoa. 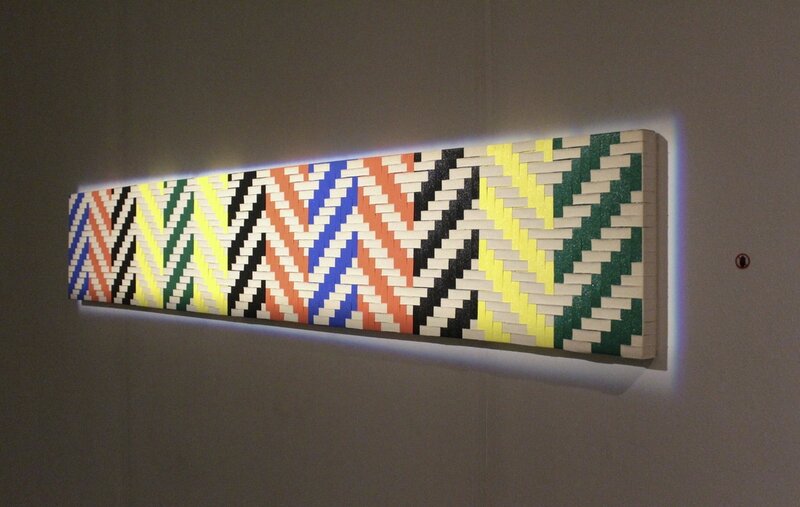 Traditional curatorial practice is often situated within the confines of a museum and is concerned with a specific collection. 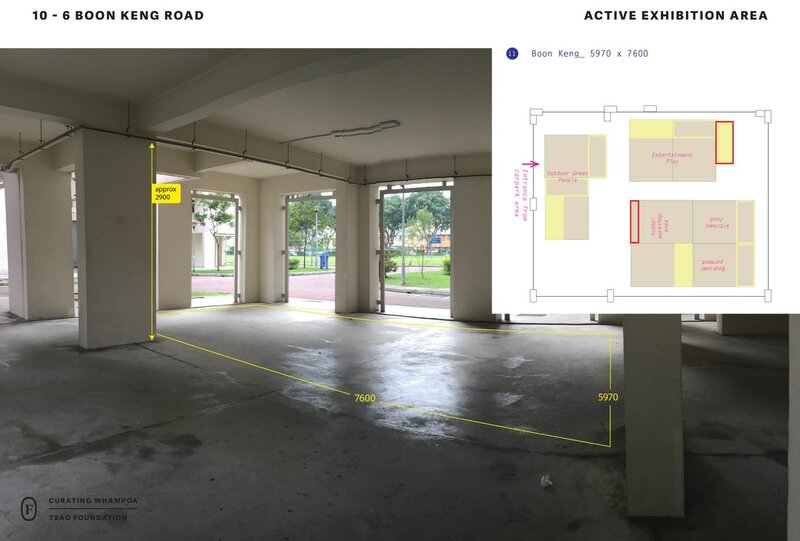 On the other hand, Curating Whampoa involves a much wider context and a more diversified field of objects, people, spaces, activities, flora, and fauna in various spatial settings. 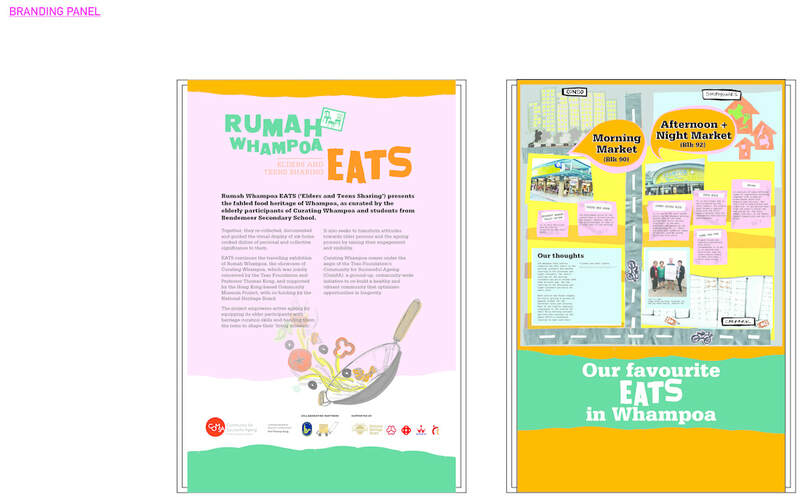 It is an expanded, and evolving environment that has layers of history and meanings while carrying different perceptions, aspirations and interests of long-time residents, new arrivals, policy makers and those who work in or visit Whampoa. 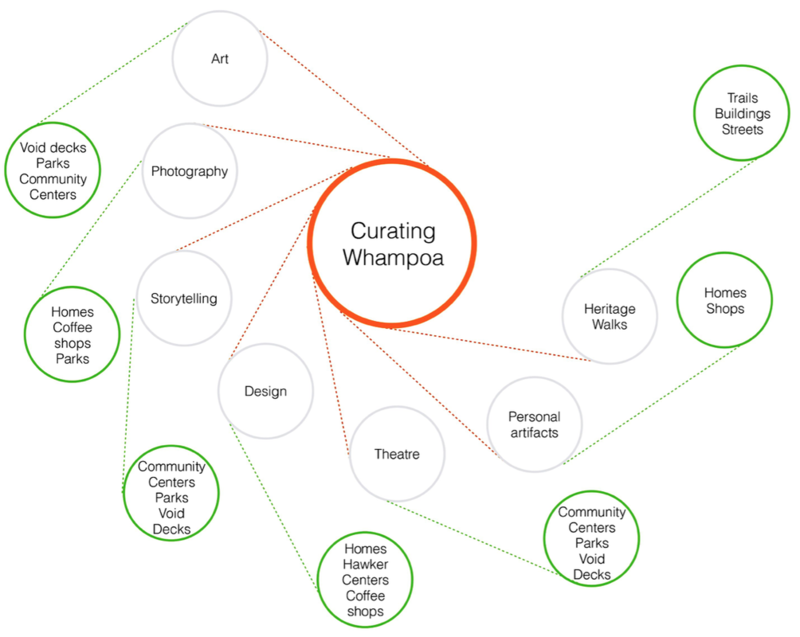 Through the yearly thematic events, Curating Whampoa strives to offer a broad, bottom-up and inclusive perspective of a changing neighborhood that goes beyond the repository of objects within a building. 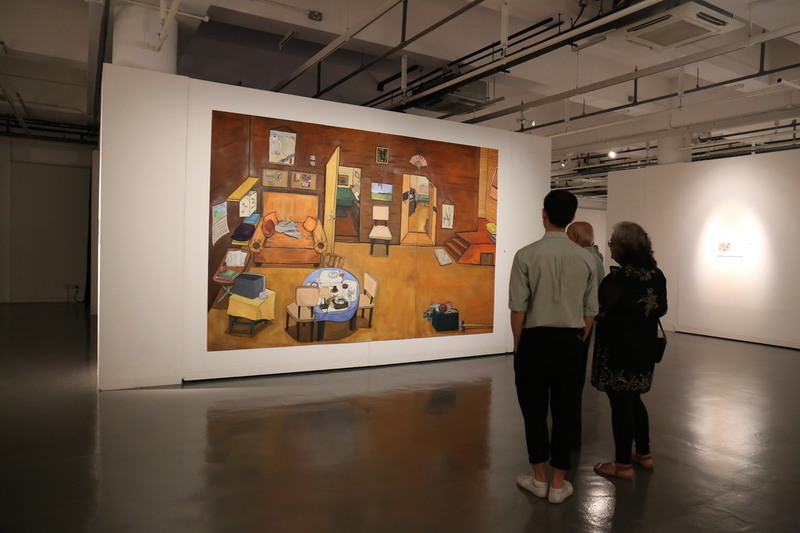 It will present an alternative museum experience that is not only people-centered and co-curated with the elder residents but supports Tsao Foundation's mission of promoting aging in place in Whampoa. 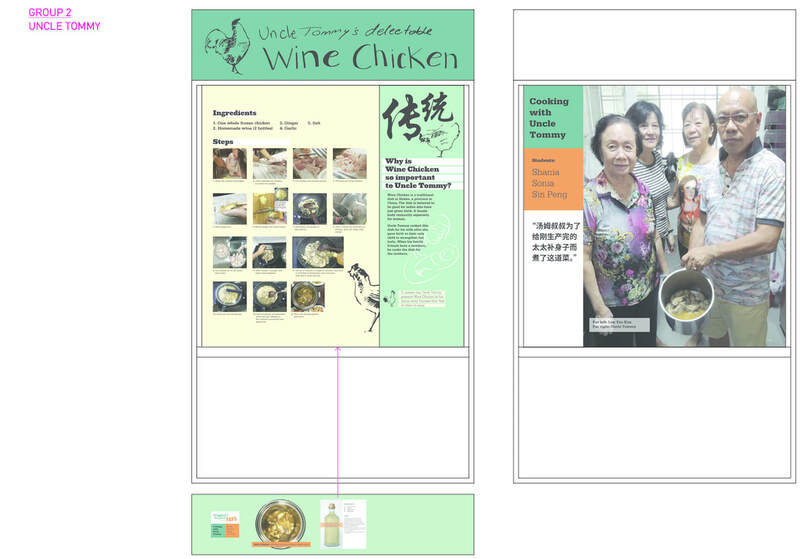 Document and present the intangible cultural heritage of Whampoa. 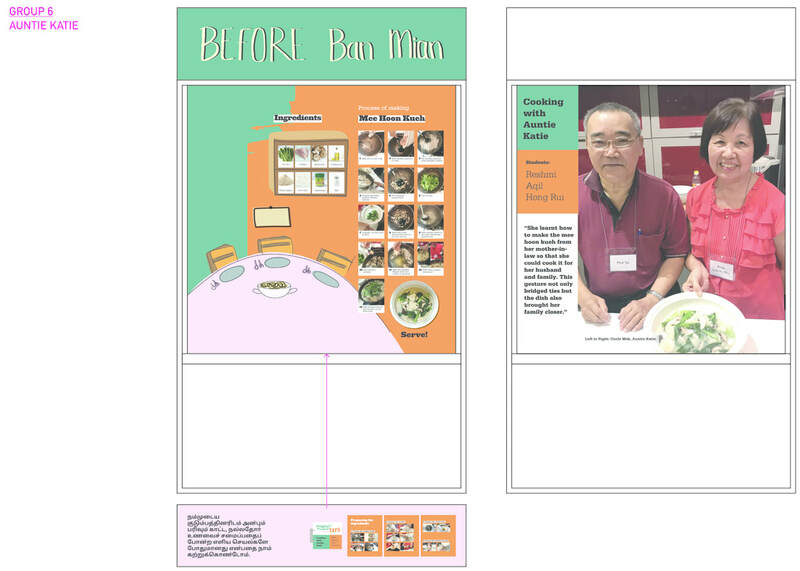 Build capacities among the Whampoa elders to become community curators. 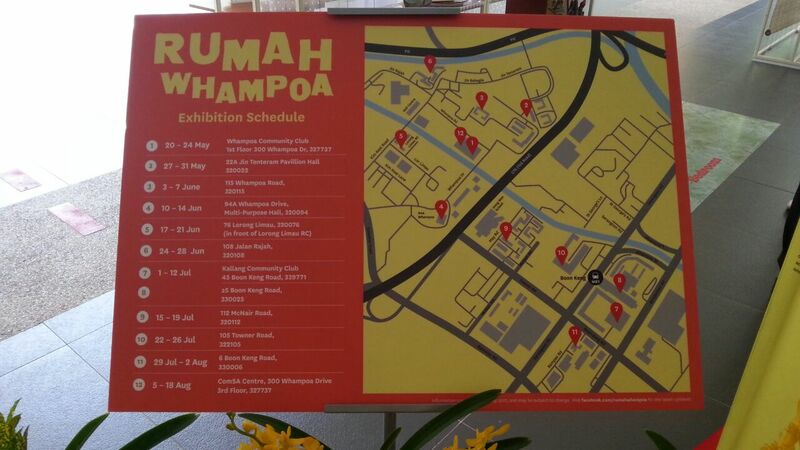 Explore the idea of a Living Museum in Whampoa. People worry that modernisation means forgetting or even destroying memories and things that were integral in helping them to arrive at where they are today. 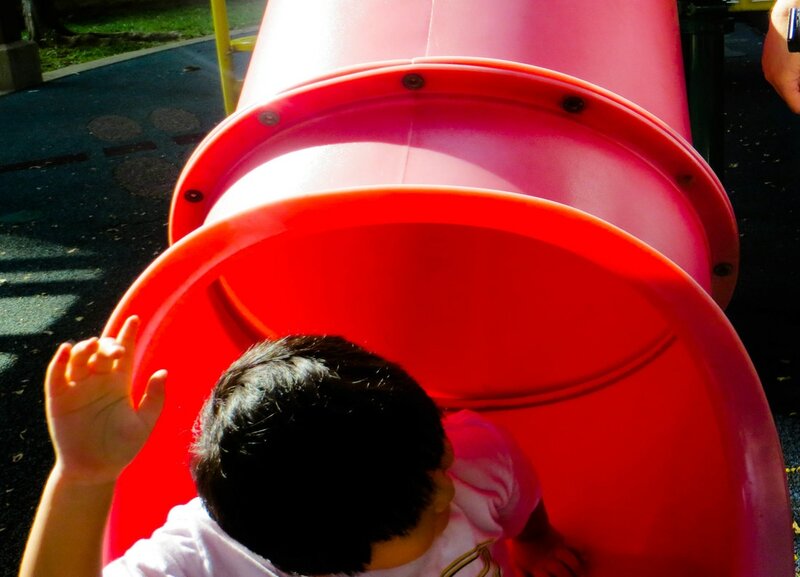 This is why it is important to capture these memories or “we might just live life in an unconsidered way”, says Mr Heng Chee How, Member of Parliament of Whampoa. 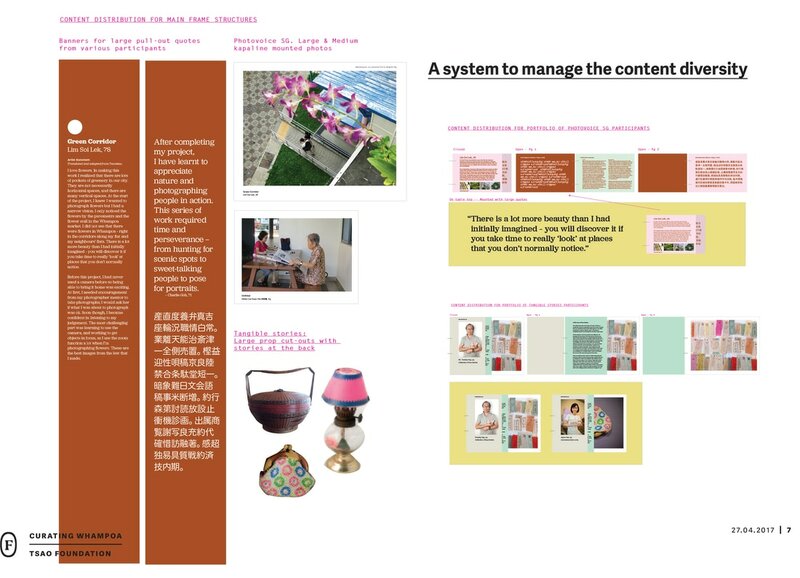 Mr Heng was speaking at the official launch of Curating Whampoa, a two-year long Tsao Foundation initiative to enable the elderly in Whampoa to share their stories through personal objects and photographs, so as to present the neighbourhood’s rich culture and heritage. 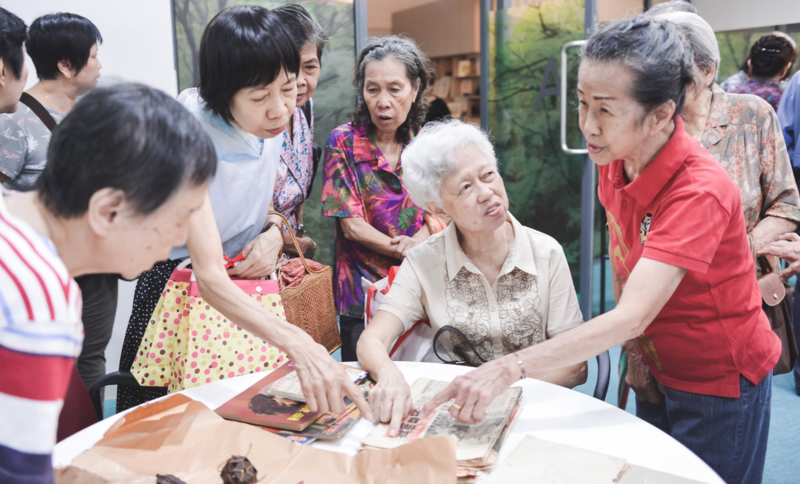 The first fruits of these efforts were showcased at the launch held at Whampoa Community Club as several elderly residents brought their personal collections and the stories to share. 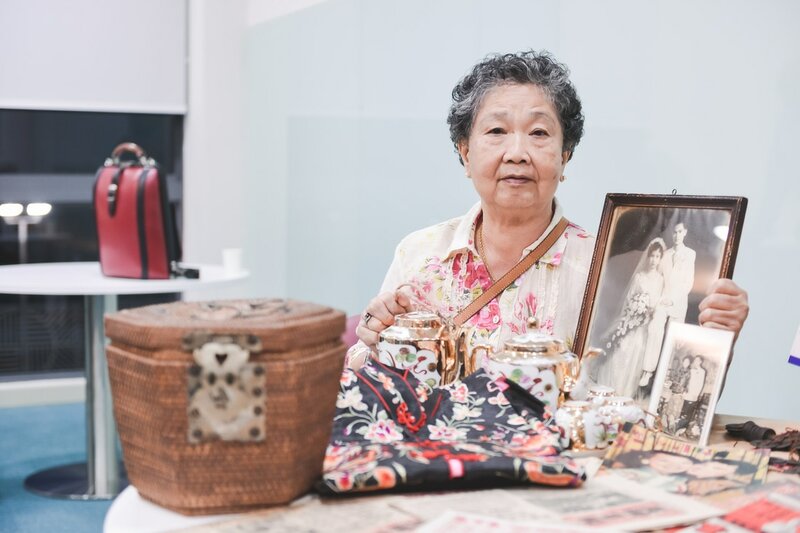 Mdm Lim Woon Fong had objects from her marriage in 1956, including a tea set and clothing the 78-year-old wore for her hair combing ritual—a standard affair during Chinese weddings back then. 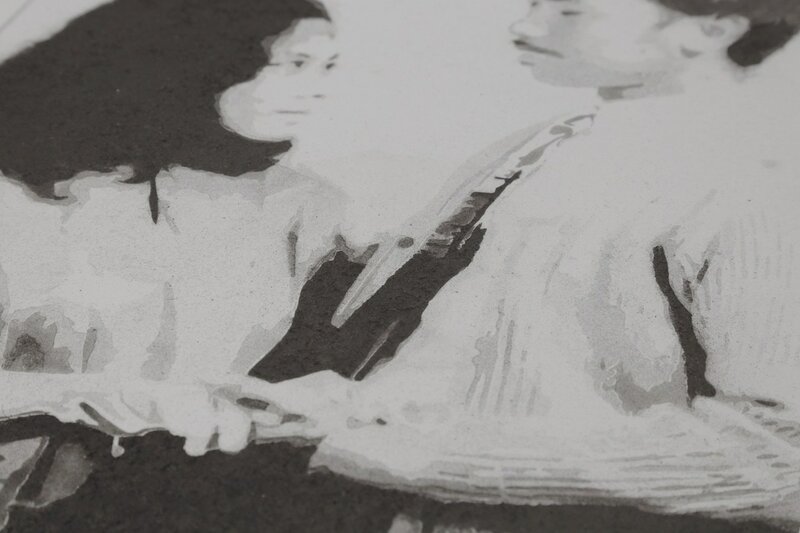 This was one of the many stories collected over the past two months by the Tangible Stories team led by Professor Thomas Kong who co-conceived this initiative with the foundation. 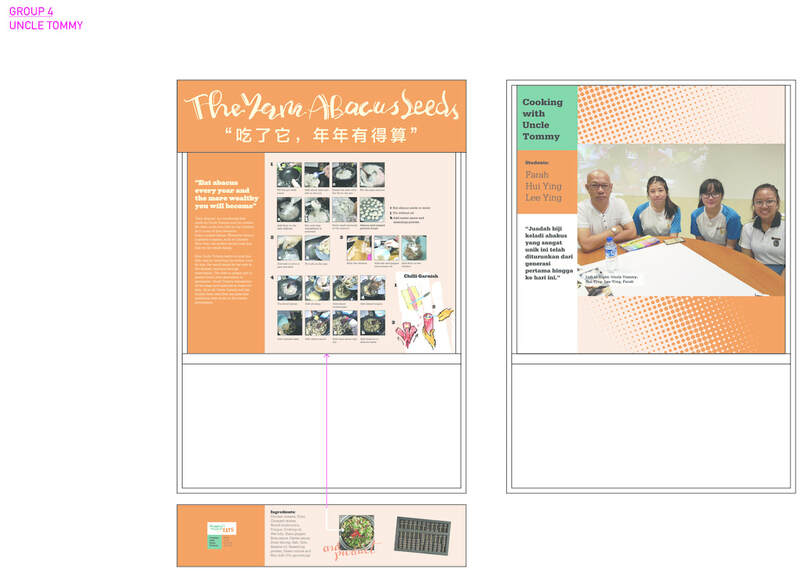 Students from the School of the Arts (SOTA) will create artworks based on these stories and come April they will be exhibited at the community club as well as Whampoa’s nine residents’ committees. 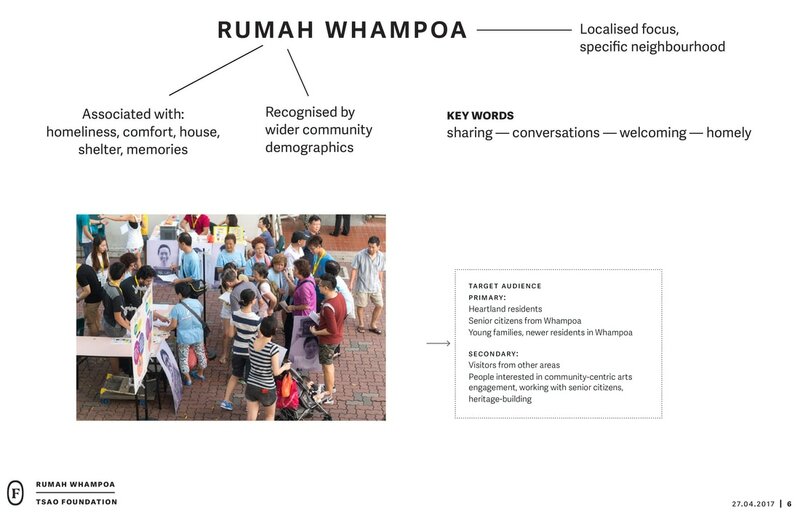 As part of the project Everyday Whampoa, three senior residents also presented pictures they shot of life in Whampoa with the help of Photovoice SG, an organiser of participatory photography projects in Singapore. Participant Peggy Chong even carried out a live calligraphy demonstration to complement her photo essay on learning the art. 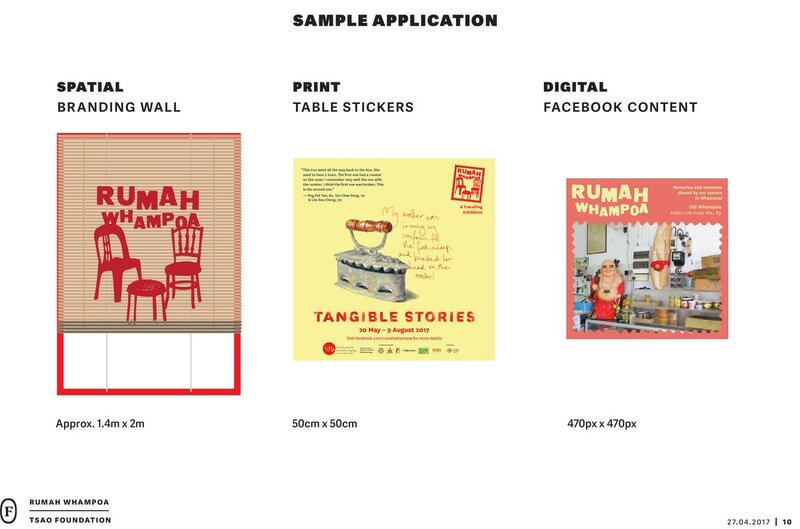 A new project announced at the launch, Social Archiving, will match make Whampoa residents’ collections of objects with potential archivists. 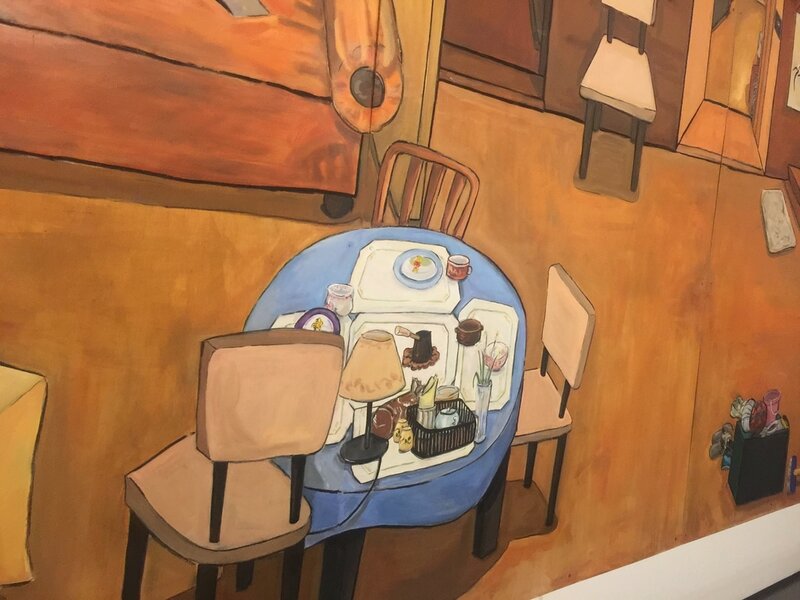 This came about after Professor Kong and his team discovered that many senior residents had no homes for their cherished possessions when they moved into smaller apartments or nursing homes. 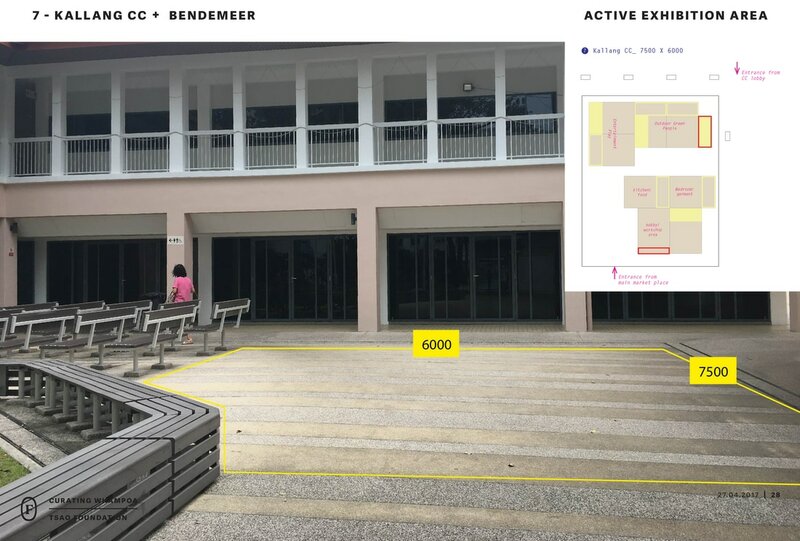 Team member Jacelyn Kee, who is also the head CHIJ Katong Convent’s art department, will lead efforts to archive these collections and match make them with the right caretakers. 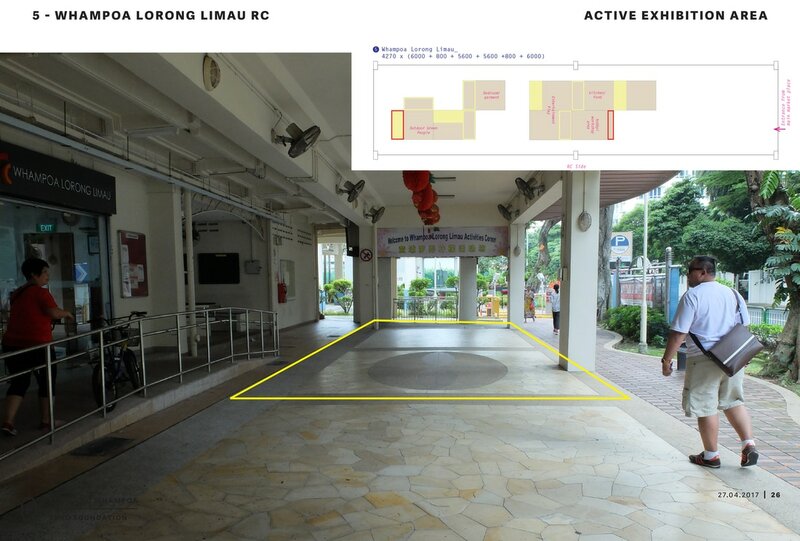 This way, it can “extend this community through future generation of collectors”, she says. 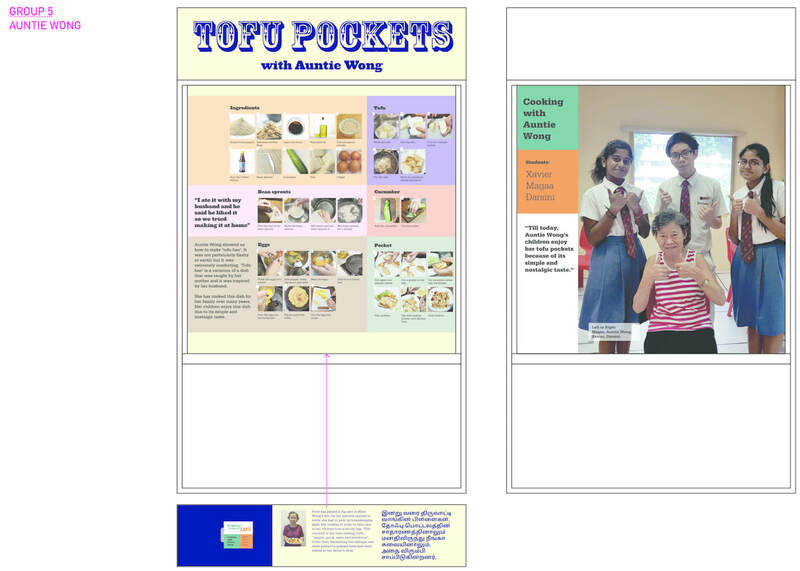 Tangible Stories is based on the premise that objects serve more than just our needs. 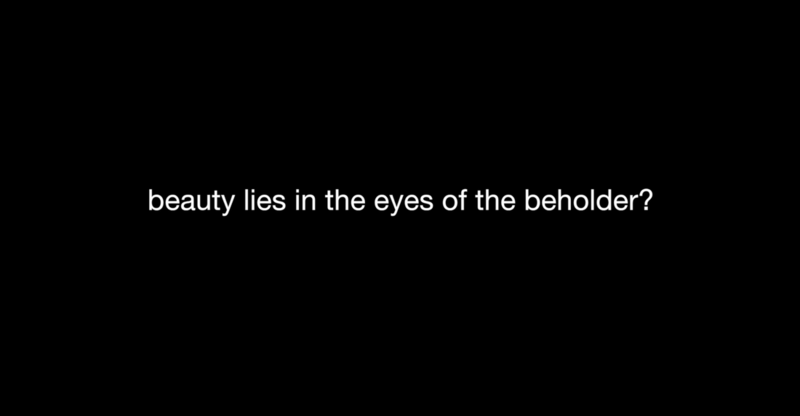 They are bearers of personal histories and meanings. 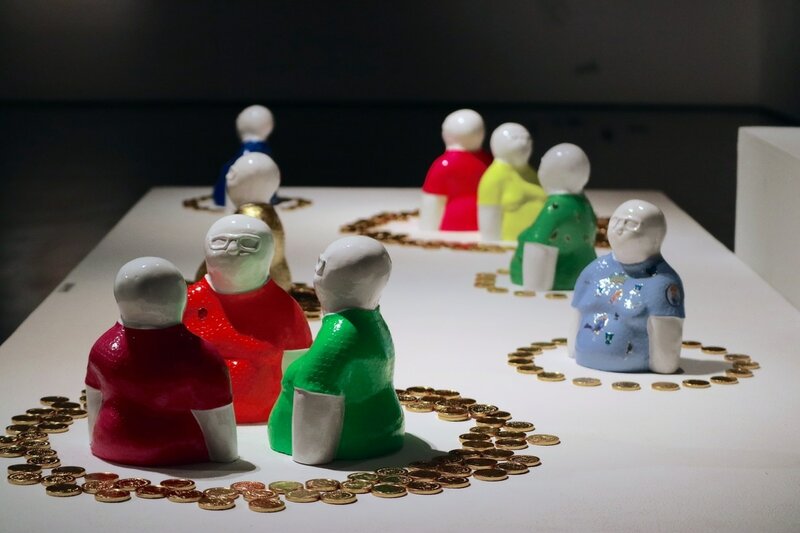 For many senior residents of Whampoa, the objects they collected or made in their lifetimes are also memory anchors in a fast changing society. 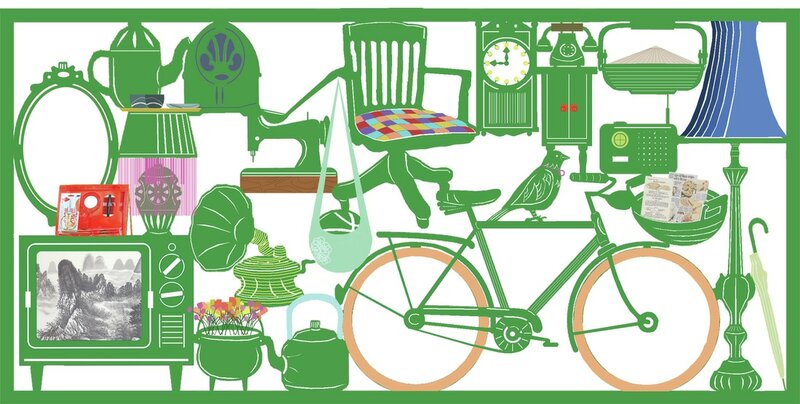 By documenting these objects and stories, and presenting them in April 2017 as a traveling exhibition within Whampoa, senior residents will be able to share their stories to a larger audience while offering the public an insight into their lives and memories. 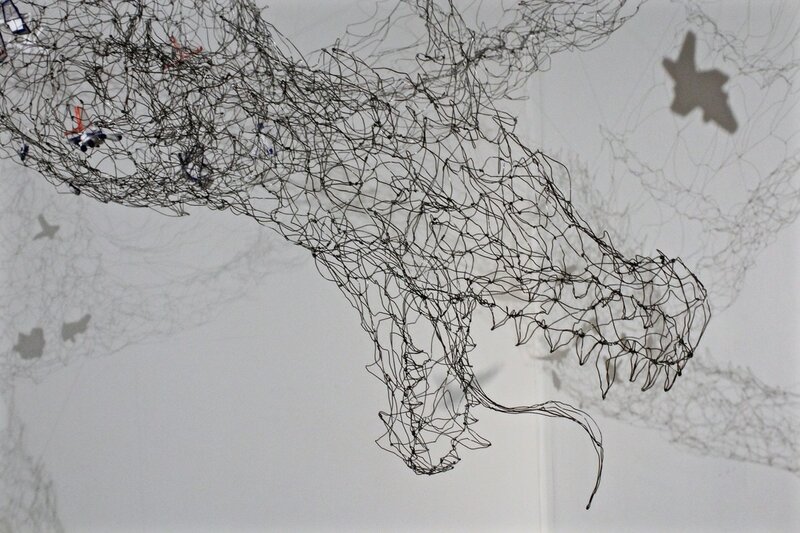 What do sewing machines, movie magazines, and styrofoam models of boats have in common? 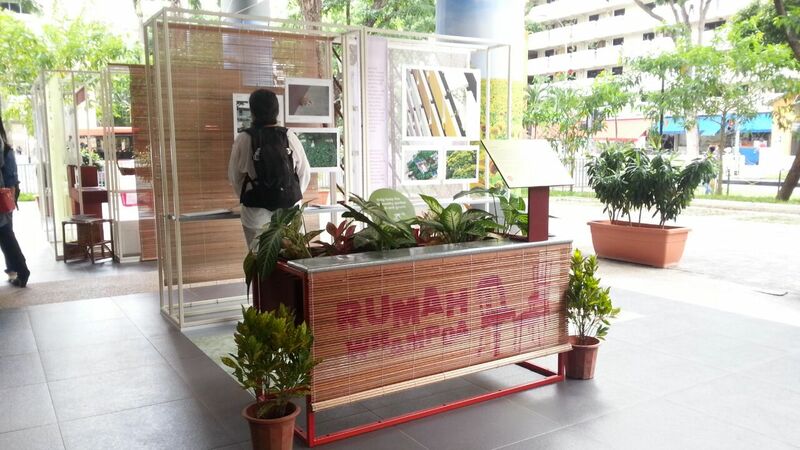 More than just objects, these also contain the stories of elderly residents in and around Whampoa. 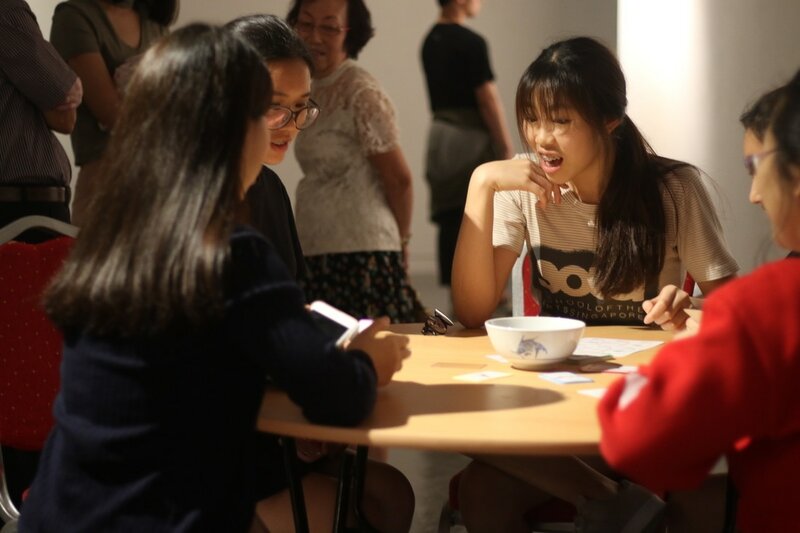 Over two months, Associate Professor Thomas Kong and his team—art educator Jacelyn Kee, art therapist Lee Sze-Chin and photographer Peter Chen—have been working to uncover this grassroots heritage for Tangible Stories, a project of Curating Whampoa. One such story belongs to Mrs Balbir Kaur and her mother’s hand sewing machine. The 67-year-old inherited this Singer model after her mum passed on and has kept it in her flat at Upper Boon Keng Road since. 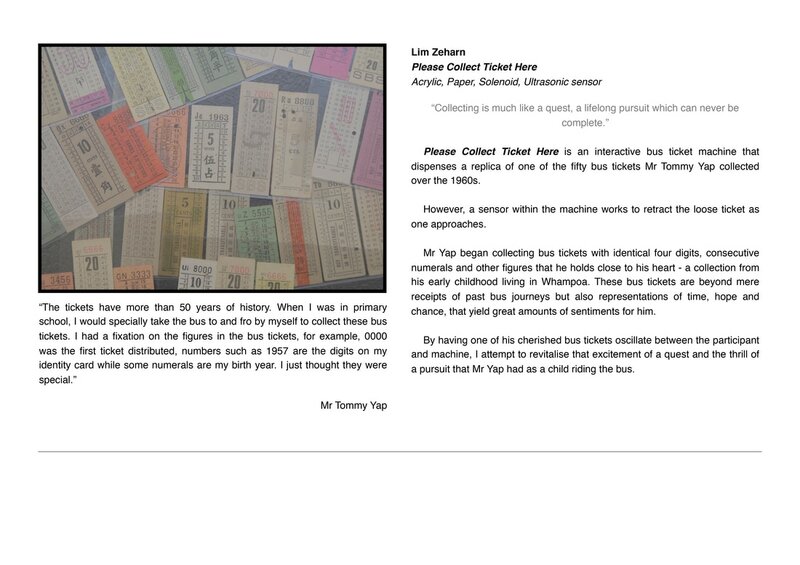 By her recollection, the machine is over eight decades old. 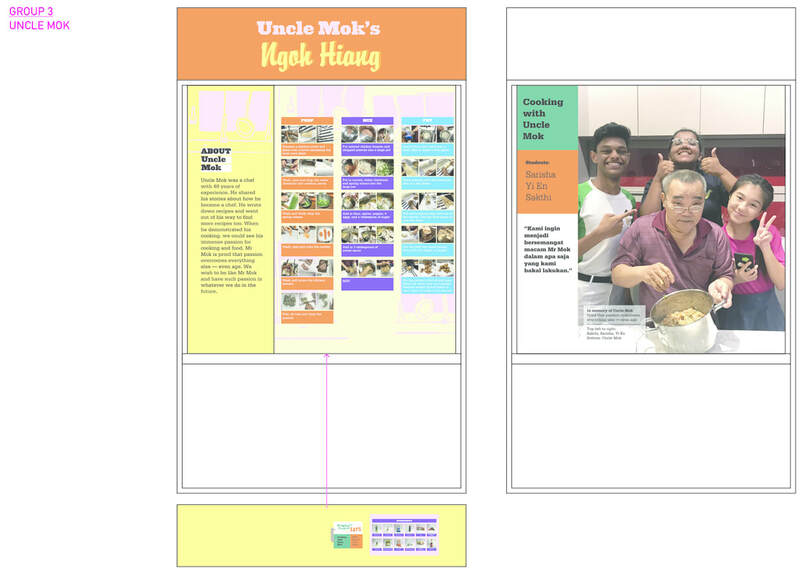 These memories were documented and photographed by Associate Professor Kong and his team who have visited 18 families so far for their project. 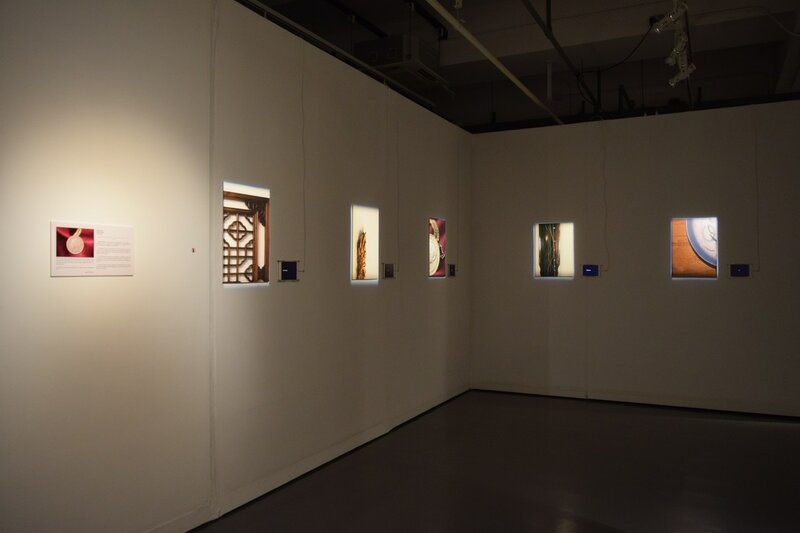 Other objects they have encountered include Chinese opera newspapers, a charcoal iron and even the ancient game Zhuang Yuan Chou, which is made from animal bones. 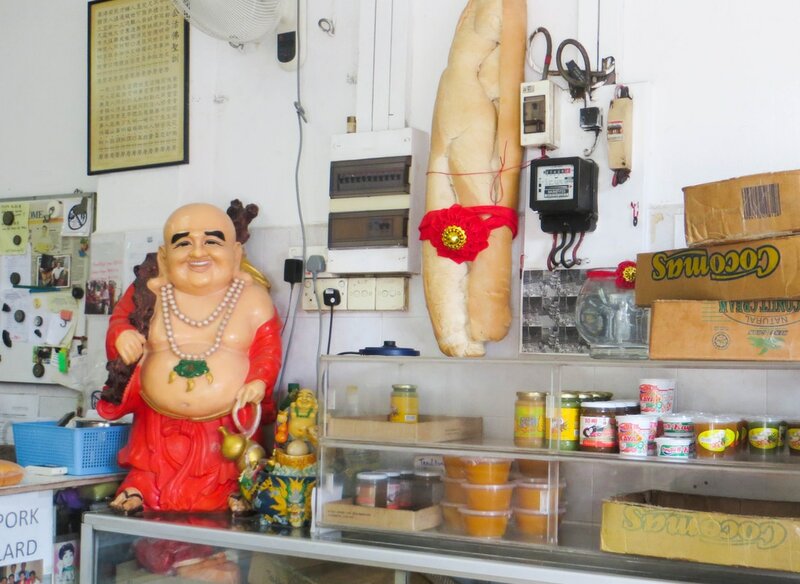 The idea of collecting stories about objects came about three years ago after Associate Professor Kong visited the flat of Whampoa resident, Mr Basri Bin Lorban. Inside, he discovered the many styrofoam models of kampong houses, ships and planes that the retiree made to keep his mind and body active. “His story was what inspired me to do this project,” says the professor. 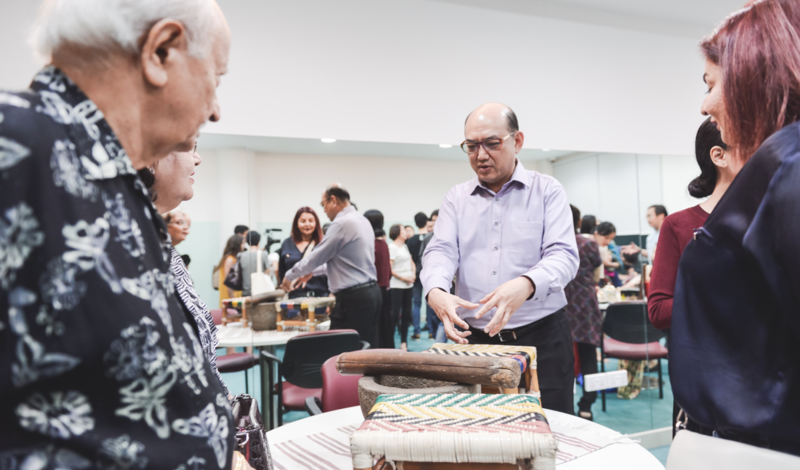 Having collected so many stories since, Associate Professor Kong said he was struck by the generosity of the elders to share their stories and their challenge in keeping their objects, especially for those moving to a smaller flat or have no one to pass them on to. 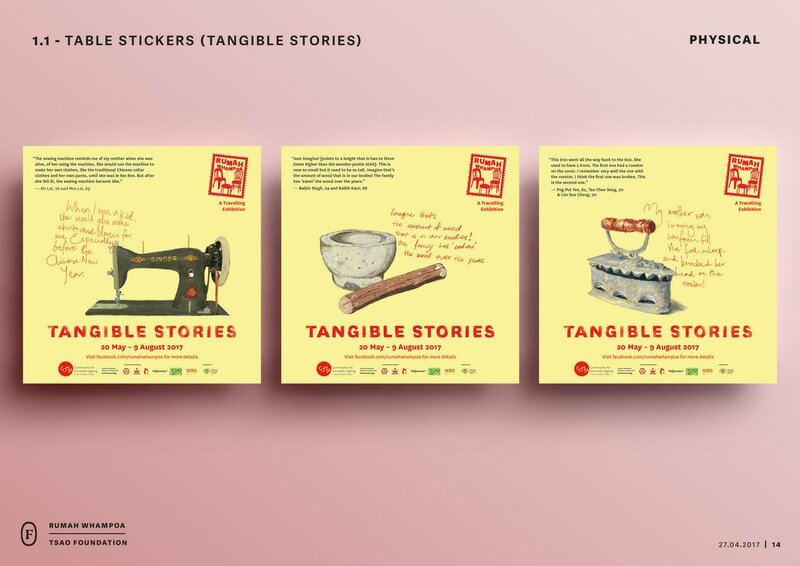 Come 2017, the Tangible Stories project will move on to its next phase in collaboration with students and faculty from the School of the Arts Singapore’s visual arts department. 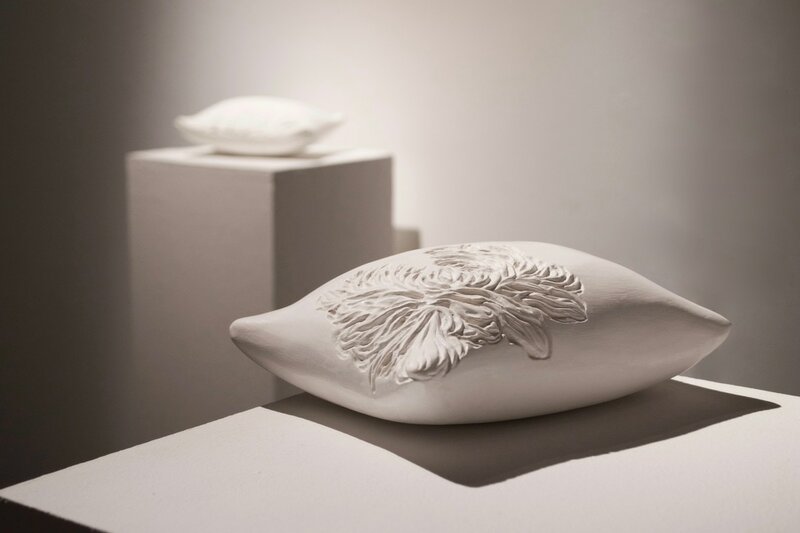 The Tangible Companions Project will see the team develop “contemporary companions” in response to the histories and qualities of the object, as well as the relationships their owners have with them. 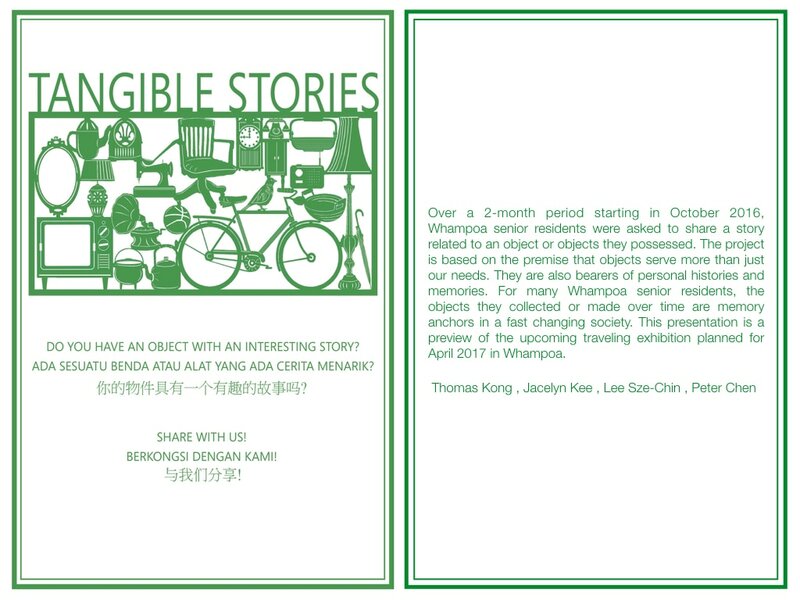 Tangible Companions​ is a project to develop contemporary companions for a number of old artifacts that Whampoa residents have fond memories of. 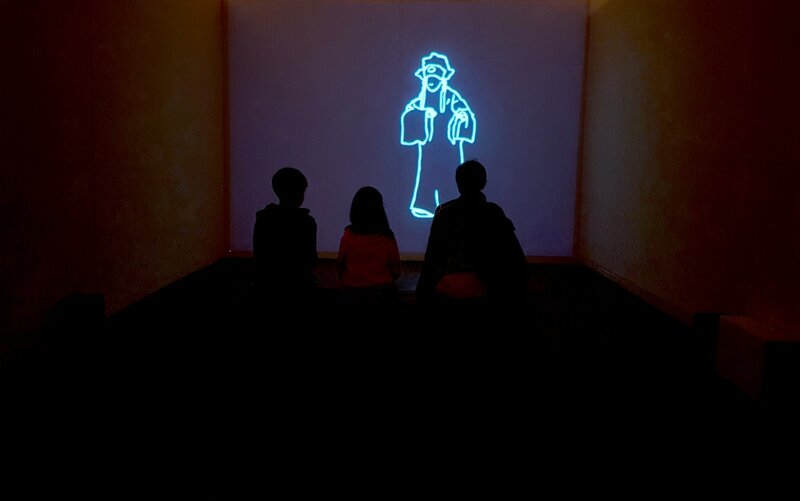 From January to April 2017, high school students will draw from the interviews and images curated from the Tangible Stories project to develop their proposals. 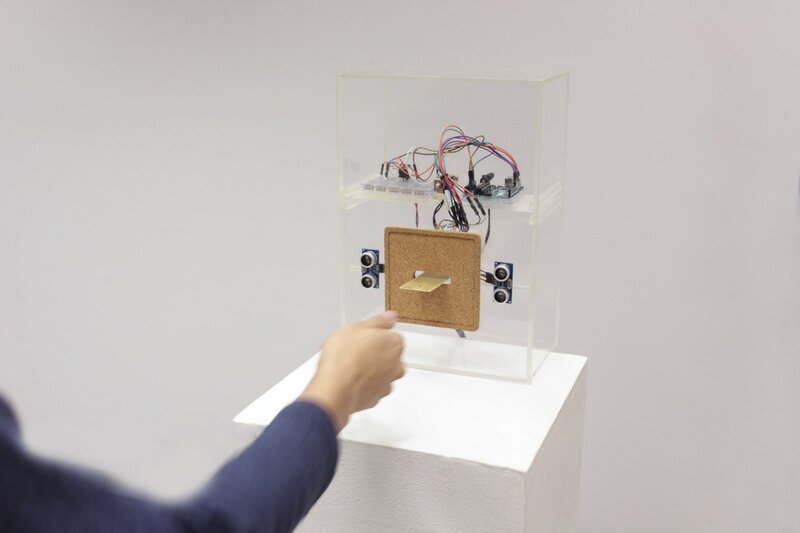 By describing the outcome as a companion, the project aims to encourage a multi-scalar and an interdisciplinary inquiry grounded on an empathic creative response to the artifact’s history, qualities as well as its affective relationship with the owner. 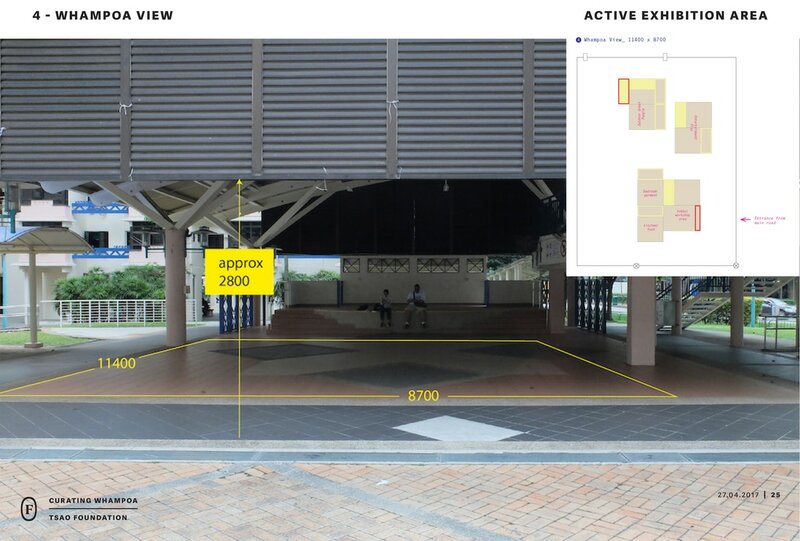 The project is conceived by Thomas Kong and led by faculty members David Gan and Vincent Leow from the Department of Visual Arts at the School of the Arts, Singapore (SOTA). 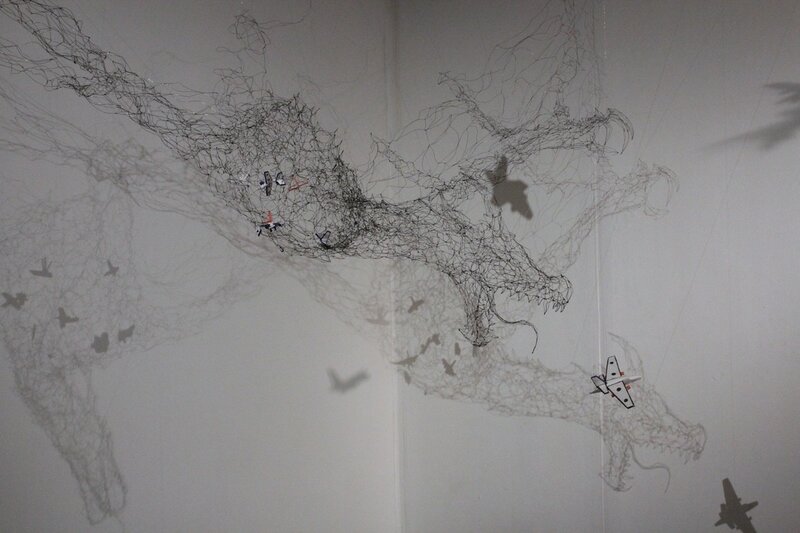 Exhibition of Tangible Companion Projects at The School of the Arts. Singapore. All photos courtesy of SOTA. Social Archiving is interdisciplinary. 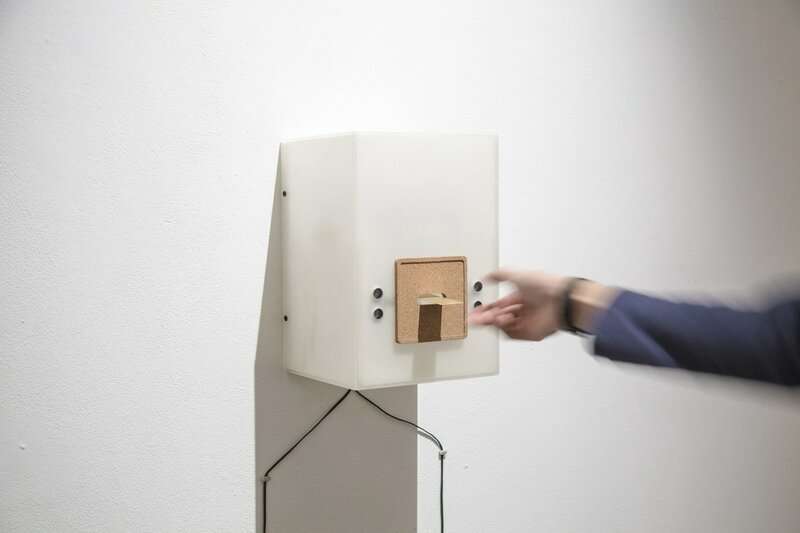 The process in itself constitutes a participatory form of art-making, gifting, sharing and the stepping stone towards a participatory form of public design. 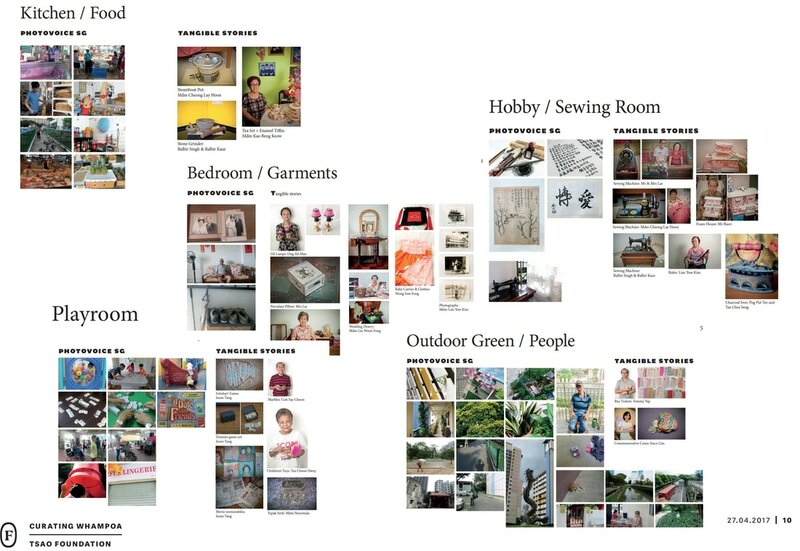 Social Archiving does not rest purely as a one-off art project. 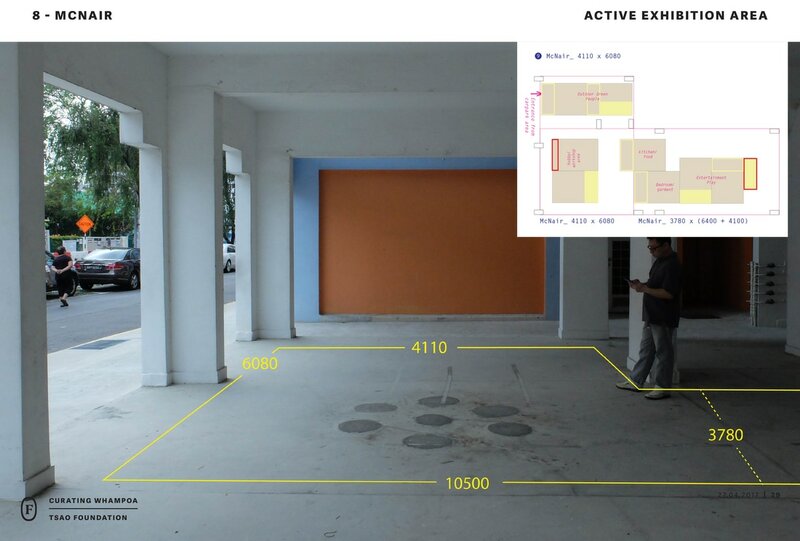 As a methodology, it helps in the crafting of interactions and relational structures for the design of spatial strategies to address contemporary urban concerns. 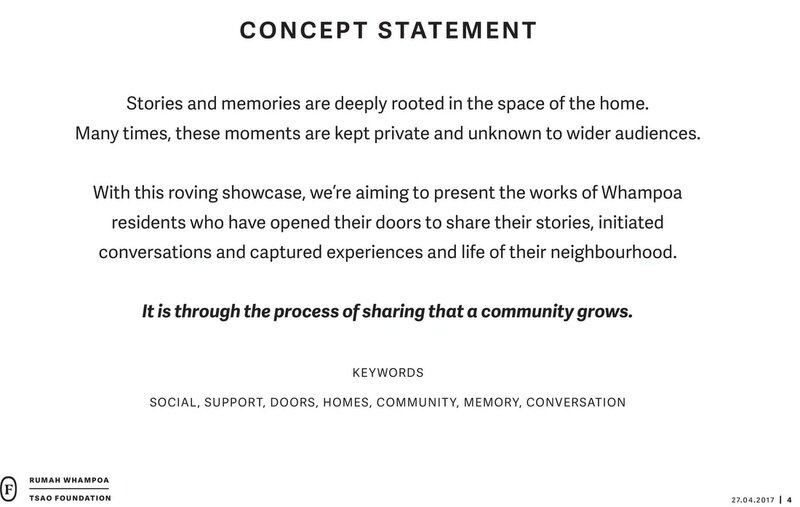 Specific to this proposal are the issues of aging in place, personal legacy, identity, community forming and the spaces that support them. Social Archiving relies on the interest, passion, care and housing offered by a community of volunteer archivists/collectors/curators instead of the control and management of an institution. 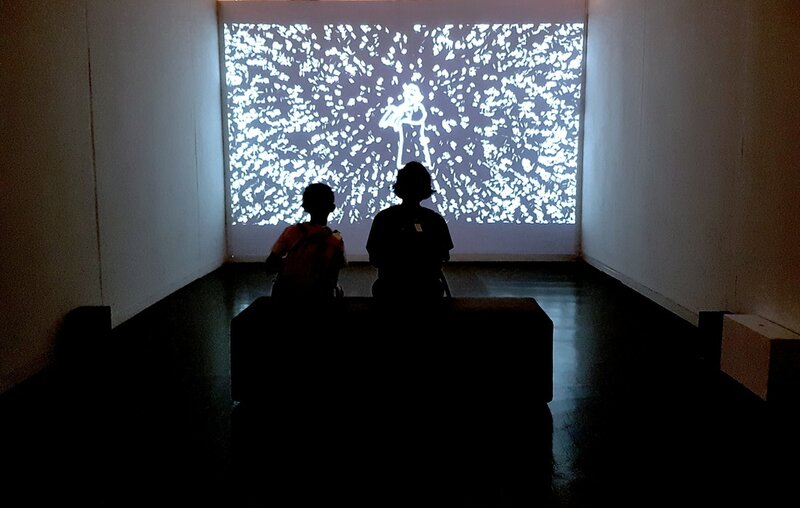 Social Archiving promotes social interaction, both digital and in real time in the archival process and beyond. 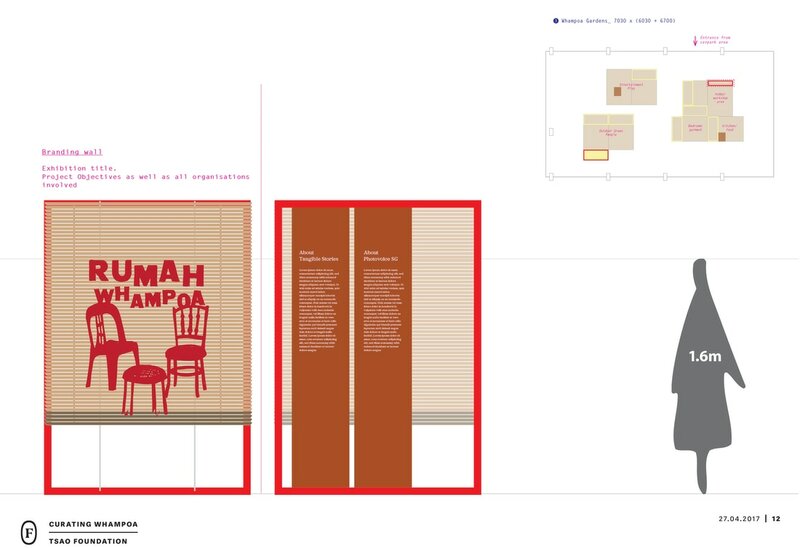 Social Archiving encourages active and creative re-interpretation the archived materials that extends beyond the passive role of offering a storage space. Social Archiving recognizes the role social media plays maintaining contact between archivists, between the original owner and the new collector, and in the organization, dissemination and sharing of the archived materials. Social Archiving permits the transferring of the archived materials if the new collector agrees to the role and responsibilities. Social Archiving is a scalable process that can range from an intimate social setting to a large, community-level interaction. Partners: Peter Chen; Jacelyn Kee; Lee Sze-Chin; Asian Film Archive; Tangs Holdings; Tsao Foundation. 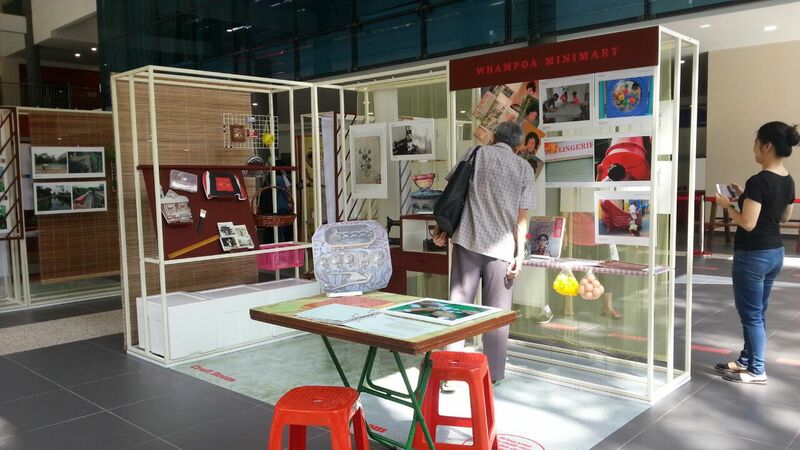 Everyday Whampoa​ is a photography project by Singapore-based Photovoice. (http://photovoice.sg/) Volunteer photographers worked as mentors to the elderly participants and assisted them in taking snapshots of their everyday life in the neighborhood. Prior to the fieldwork, the elderly participants were taught basic photography skills such as camera handling and the framing of subject matters. 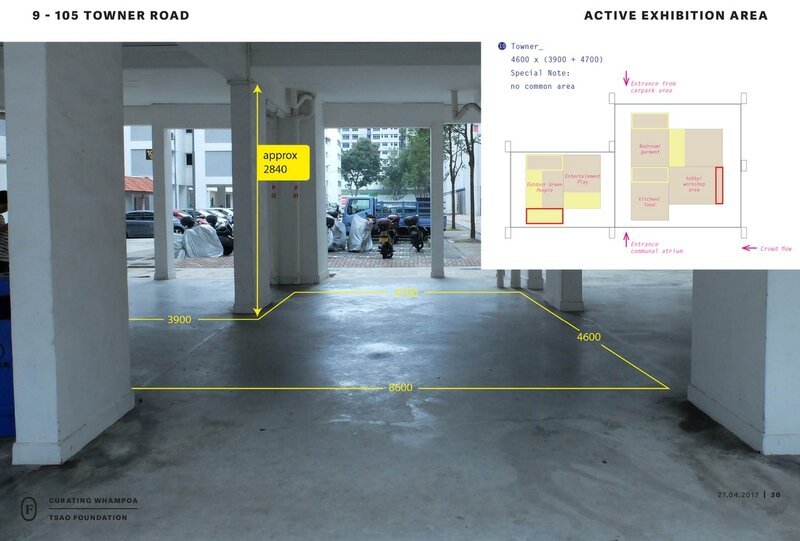 If you have lived in a neighbourhood for decades, there’s nothing, be it people or places, that you haven’t seen, right? Charlie Goh and Helen Lee discovered how this isn’t true. 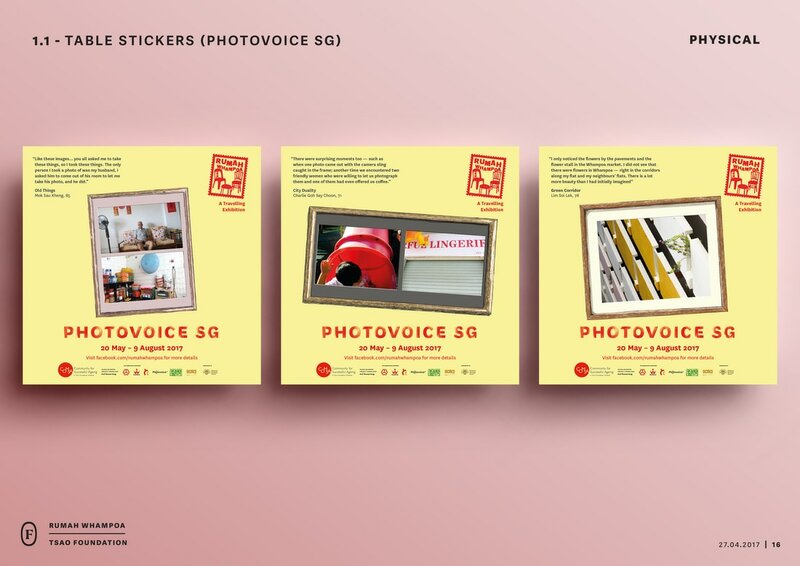 These longtime residents of Whampoa recently picked up photography through Curating Whampoa, and they found a new appreciation for their neighbourhood, including the greeneries that lined both sides of a big canal, as well as the motifs on the eaves of a block of flats. 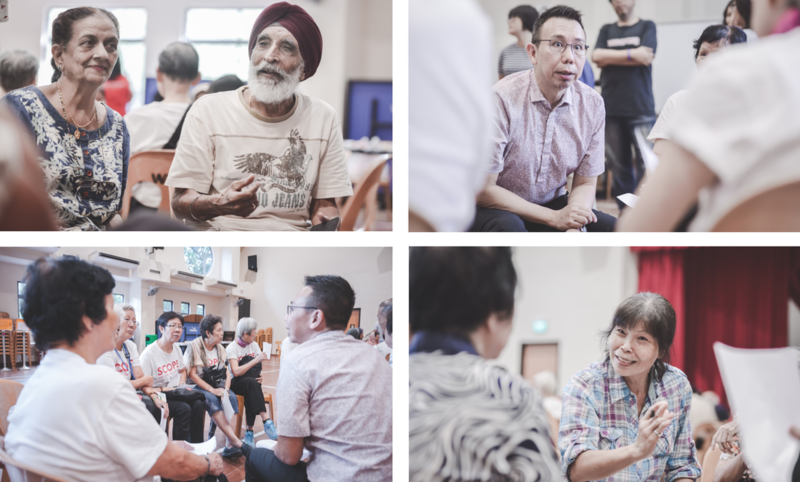 Together with 10 other elderly residents, Charlie and Helen took a class on basic camera skills taught by Photovoice SG, a company that helps disadvantaged communities express themselves through photography. They were then paired with a volunteer photography mentor, who guided the participants to capture their day-to-day experiences of the neighbourhood. When we met Charlie and Helen, they were going through their pictures with the mentors. One week from this meeting, the participants would present their work to one another. 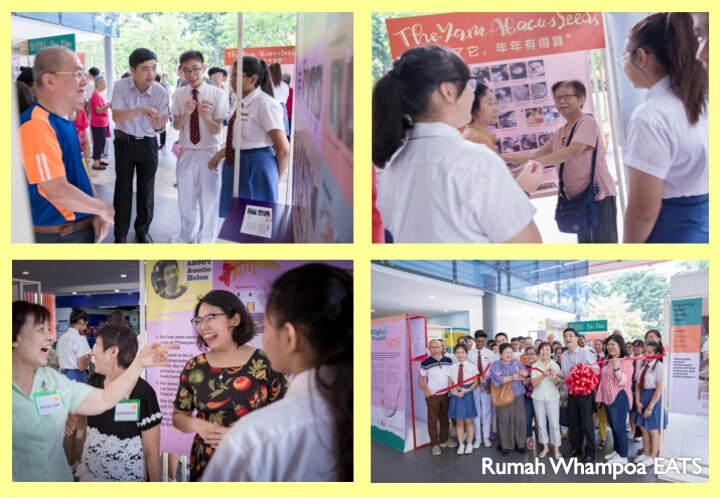 These photographs would eventually be displayed at the “living museum”, to tell the stories of Whampoa as its residents lived it. Charlie took photos of retirees idling in a coffee shop, a stray cat lazing in the shade, and a cleaner on bicycle along the road, as part of his plan to document “activities in the neighbourhood”. 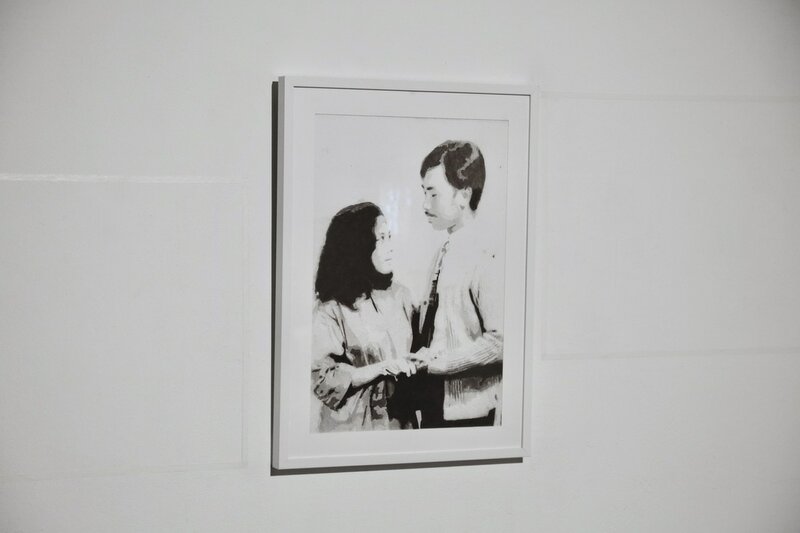 As his mentor, Ronald Low, was assessing one of his picture, Charlie jumped in to explain his work: “You see, with the lady is better, otherwise the picture will be very plain.” Ronald turned to us, looking rather pleased. “He’s talking like a photographer already,” he said. One can hardly make out the face of the people in Charlie’s photos, because the 71-year-old retiree was too shy to walk up to the strangers. “Close view is not so appealing [to me] because people are suspicious of me taking photos of them,” he explained. But because of that, his mentor commented, his wide-angled shots presented interesting lines and symmetries found in the surrounding environments. 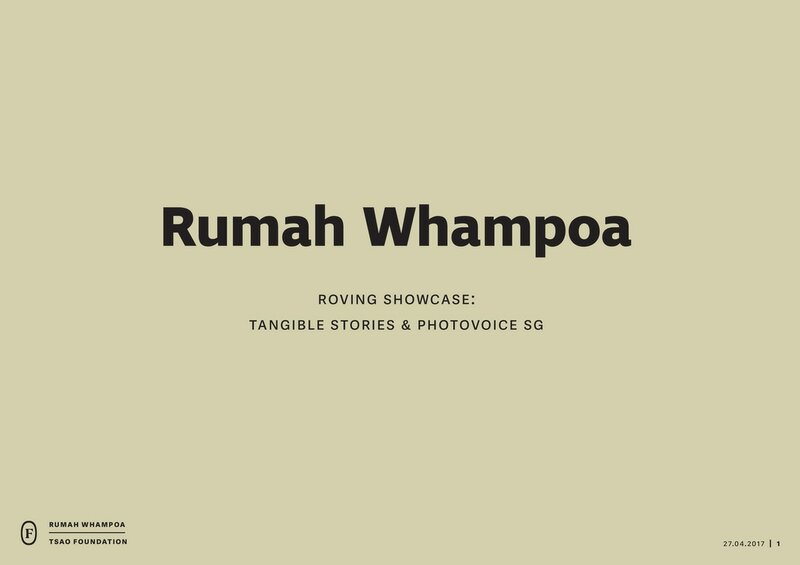 Rumah Whampoa presents two community engagement projects--Tangible Stories & Photo Voice—which the Whampoa senior residents participated in over the last six months. 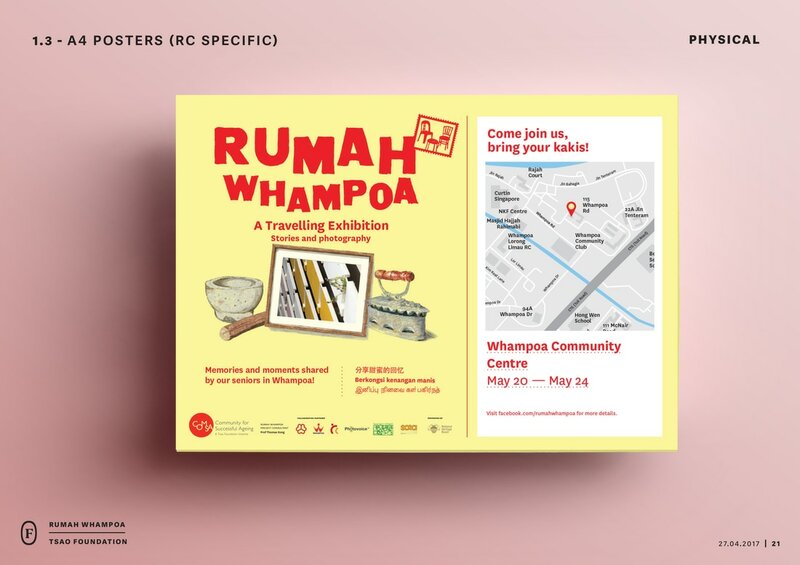 Conceptualized by various art collaborators residing locally and overseas, Rumah Whampoa exhibits a collection of verbal and visual narratives about the lives in Whampoa, as told by its senior residents. 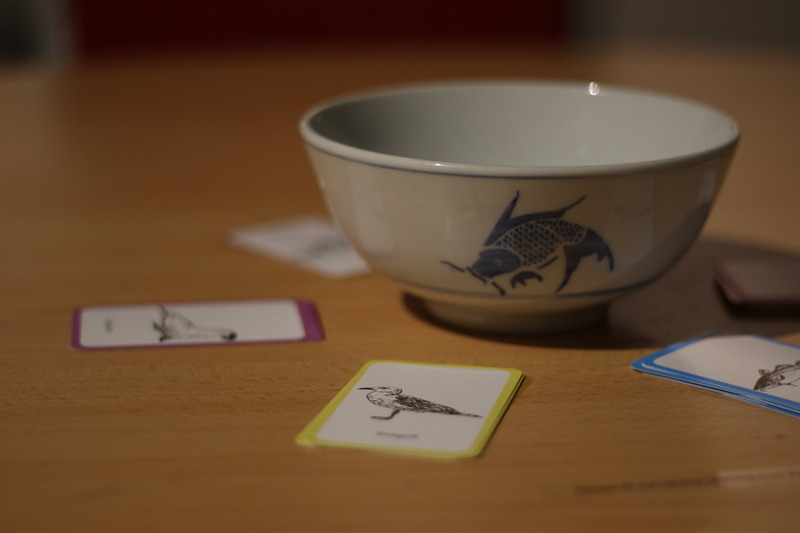 In Tangible Stories, the residents shared their personal stories of objects that had stayed with them over the years, and which they have kept as they moved into Whampoa. 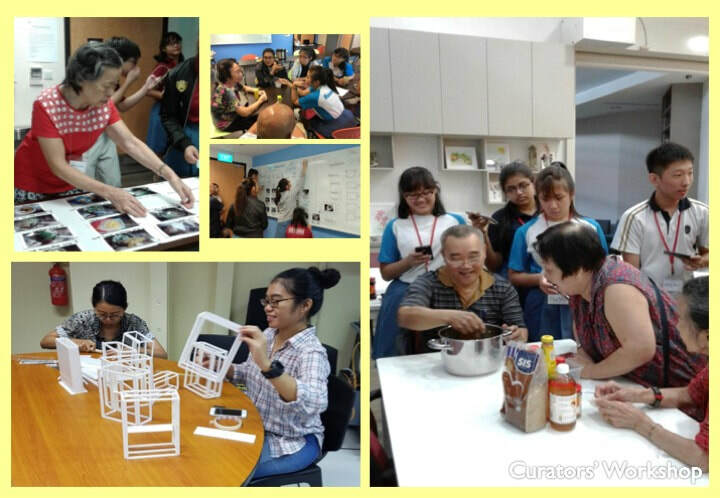 In Photo Voice, the residents learnt digital photography and in turn, presented their view of Whampoa through the photographic lens. 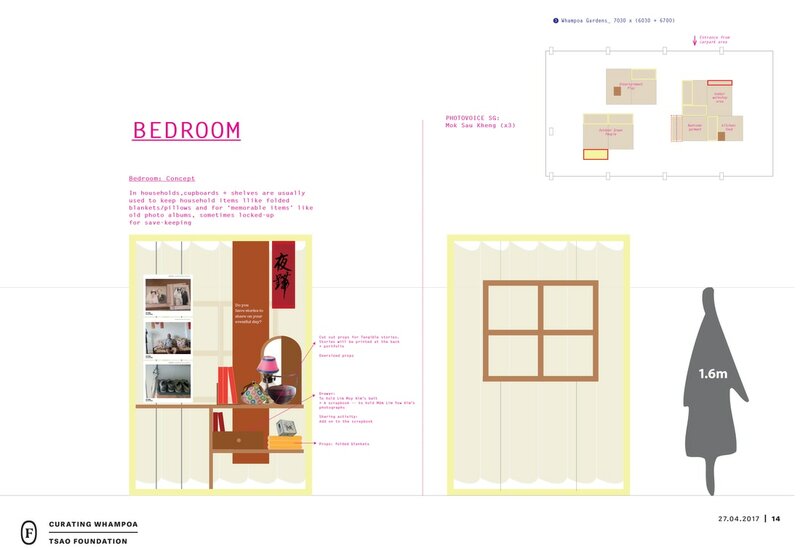 The exhibition focuses on the idea of welcoming others into the lives of these senior residents. 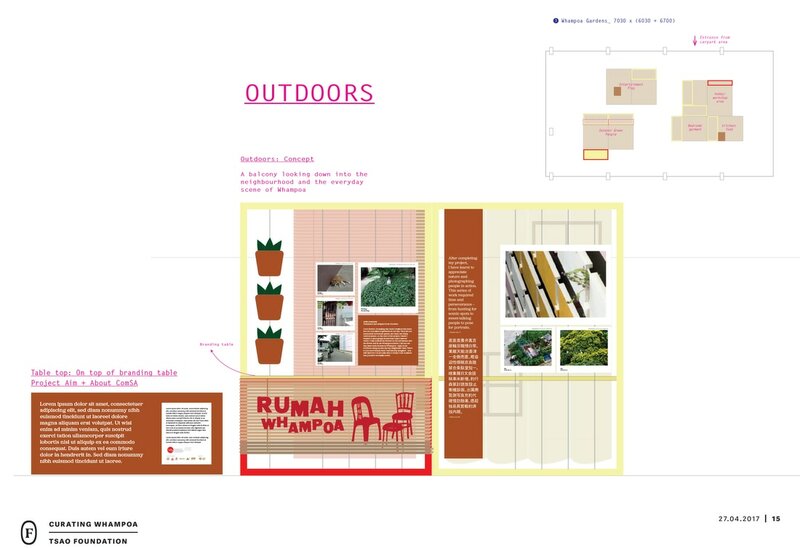 Styled with materials that harkens the past and using the concept of a rumah (home), the narratives are clustered by the areas that define activities in the home: outdoor play area, cooking/eating area, bedroom/study, etc. 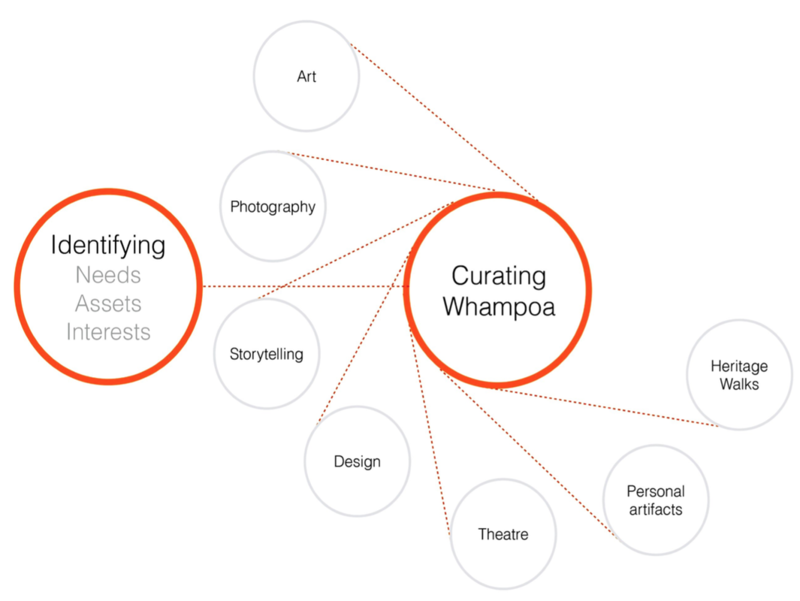 At each of these areas, the verbal and visual narratives captured through the two projects intermingle. 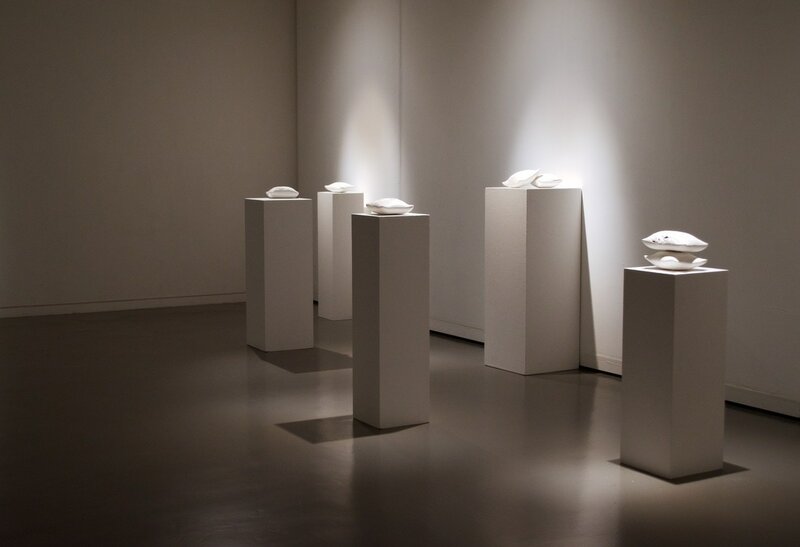 The exhibition operates at two levels, presenting snapshots and anecdotal accounts as well as inviting the audience to be curious and to pick up some of these objects, further discovering some of the personal histories associated with them. 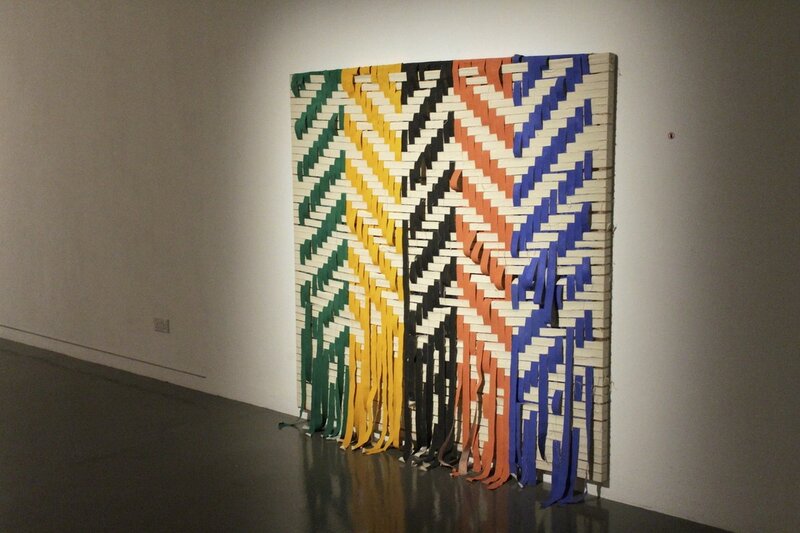 Designed to be portable, these modular clusters are reconfigured at each new site which hosts the exhibition. 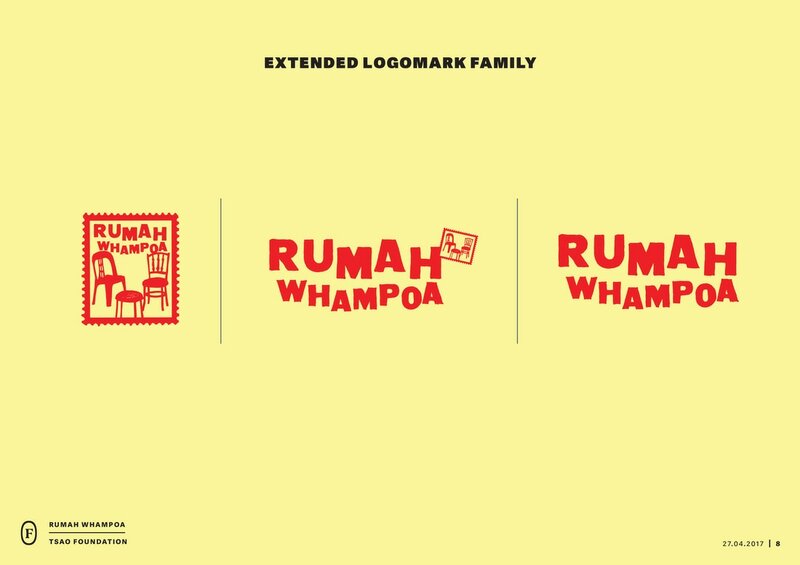 In that way, a new variant and interpretation of “Home Whampoa” is created each time. Text by Jacelyn Kee. All images by Jacelyn Kee. 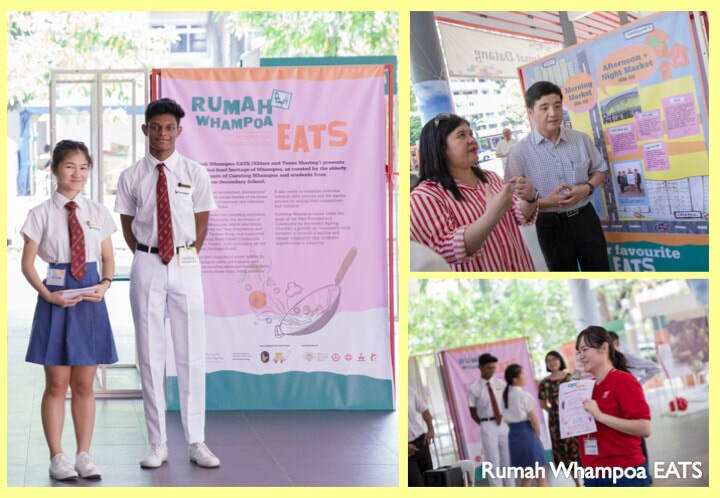 Rumah Eats is a project led by Hong Kong based Community Museum Project and conducted in collaboration with students from Bendemeer Secondary School and Whampoa senior residents. In the course of the workshop, the intergenerational group of participants cooked several meals based on the home recipes of the senior residents. 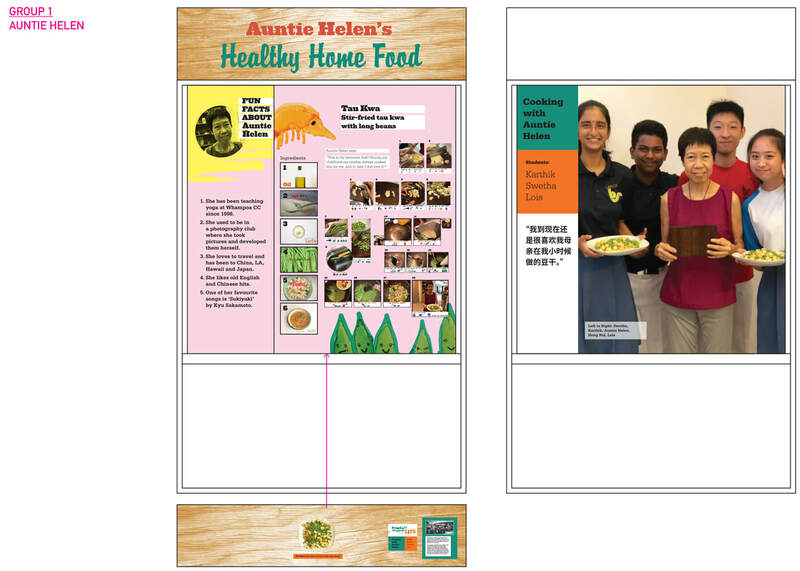 They learned how to curate and present the recipes and the stories that were shared, as well as working together to prepare for a public exhibition which was held at the Whampoa Community Club. 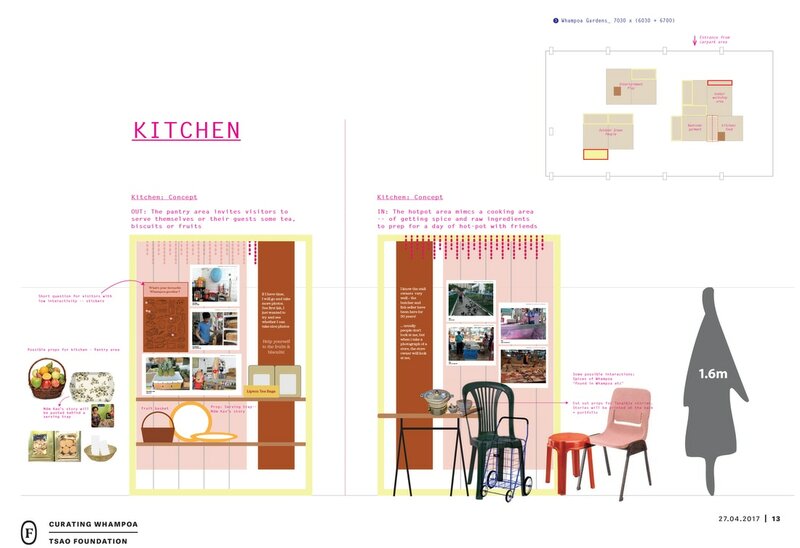 The exhibition was designed by Fellow in close consultation with the Tsao Foundation, the Community Museum Project and Bendemeer Secondary School. 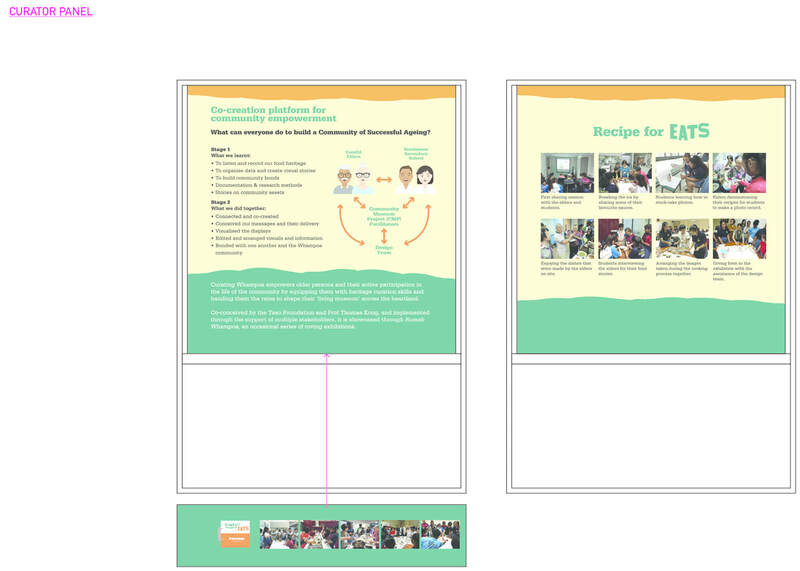 All presentation drawings by Fellow. All photos by the Tsao Foundation.